As a part of the SUST-364 Local Food Systems Practicum course, University of New Mexico Sustainability Studies students will develop and post compelling blog entries about sustainable food and agriculture in New Mexico and beyond. Our aim is to create an accessible, engaging web-based resource available for campus and community members interested in learning more about New Mexico’s foodsheds and broader food systems issues in general. 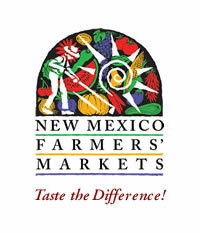 The blog will also serve as a hub of information for our on-campus Sustainability Expo and Lobo Growers’ Market. Lobo Growers’ Market events take place every April in conjunction with the annual UNM Sustainability Expo, and – since 2012 – during six weeks of the Fall semester. Join us in supporting local, sustainable growers and producers!